Below we’ll discuss the benefits and potential drawbacks of cutting out either gluten or all grain in your pet’s daily intake. While the terms “gluten-free” and “grain-free” are often used interchangeably, they actually mean two different things. Gluten is a protein that is frequently found in grains such as wheat, barley and rye. However, it is not found in all types of grain, so some grain may still be consumed in a gluten-free diet. On the other hand, absolutely no grain is consumed in a grain-free diet. Therefore, a grain-free diet is also gluten-free, but a gluten-free diet is not necessarily grain-free. If any of these symptoms are present, it is recommended your furry friend go to the vet where food trials can be conducted to see what, if anything, she is allergic to. If no food allergies are found, other underlying health issues may be present. According to a study conducted by Tufts University, feeding your cat a grain-free diet doesn’t mean she necessarily consumes fewer carbohydrates. Some grain-free diets had “similar or even higher amounts of carbohydrates as diets with grain.” This may be because some pet owners switch out other carbohydrate-rich foods, such as potatoes, in place of grain. Additionally, if a cat is put on a grain-free diet for health reasons, oftentimes, the foods that replace the grain in her diet are no more natural or healthier than the grain. Frequently, replacement foods include tapioca, potatoes, sweet potatoes and peas. Furthermore, the study found that the calories consumed in a regular versus grain-free diet were essentially equivalent. Ditching grains in an effort to scale back calorie consumption may not be the most effective method for shedding pounds and losing weight. At the end of the day, several veterinarians told The Washington Post that grain-free diets, for the most part, are just a marketing strategy, noting that grain-free diets are not necessarily healthier than other diets. Moreover, they said, most cats have allergies to meat before they have allergies to grain. Their recommendation? Work with your veterinarian to find the proper diet for your pet. 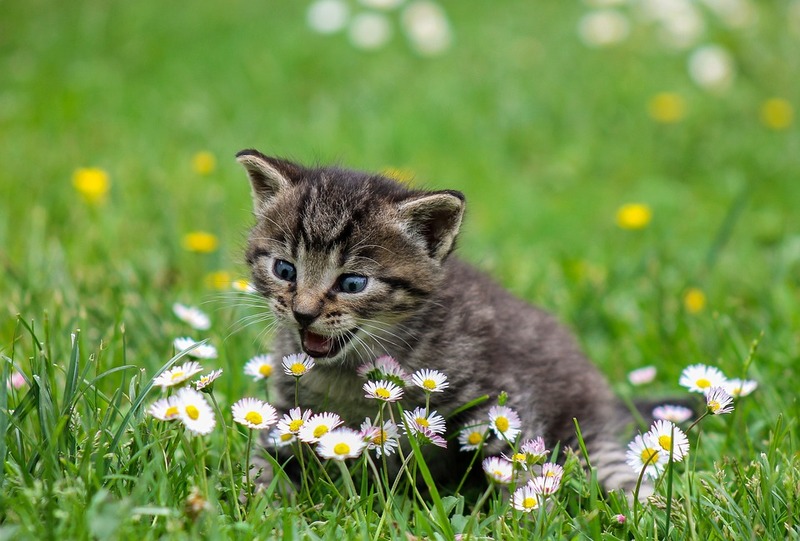 Unless your cat has a specific allergy to grain or gluten, it may be beneficial to keep feeding your four-legged friend a well-rounded, well-balanced diet, including grain. Thanks for stopping by! We hope you were able to gain new insight into the emerging trend of grain-free diets for your cat. If you enjoyed our article, please feel free to share it.